All manufacturers face challenges in today’s global landscape. Great manufacturing plants embrace the challenges and turn them into opportunities. 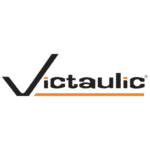 Victaulic believes and has built its success on a foundation of continuous improvement with an emphasis on its core principles of safety, productivity and quality. For Victaulic, the process of looking for incremental changes and its quest for world-class safety has driven the Forks facility toward operational excellence. Through extensive use of quality metrics and lean tools, Victaulic measures virtually everything that it does and applies lean principles and processes to ensure quality and safety throughout its operation. Part of the safety process at Victaulic is a firmly established set of guidelines whereby at all levels of the organization employees embrace safety. With a belief that workplace injuries are avoidable and preventable Victaulic believes that a culture of continuous safety improvement can benefit a long term and proactive safety program. It is because of this belief that Victaulic has attained an 87 percent reduction in recordable injury rates over the past seven years. Proper equipment maintenance and continuous training serves to benefit our plant operations in a multitude of areas. Victaulic’s preventative methods include processes that allow for optimized equipment use and maintenance as well as successfully maneuvering the challenges of aging equipment. This coupled with the continuous training of a highly skilled and long tenured team keeps Victaulic managed and running without the loss of productivity. New employees team up with senior employees, who have an average tenure of 20 years at Victaulic, for on-the-floor training, shadowing processes and have resulted in absenteeism of less than 1 percent per week with low turnover. These efforts have lead Victaulic to be named Top Plant by Plant Engineering magazine. The plant was recognized for its outstanding safety efforts due to the reduction in injury rates. In addition, the Forks facility was honored for its lean manufacturing capabilities, facilities excellence and focus on quality delivery performance. The Forks plant is located on Victaulic’s corporate campus—home of the company’s global headquarters—in Easton, Pennsylvania. The facility includes a ductile iron foundry, machine shop and warehouse. Victaulic is completely vertically-integrated with all research, development, manufacturing and quality control being performed and managed by Victaulic. This facility hosts several hundred customers and visitors each year from around the world with a tour of the operations as a backdrop for each visit. The focus on quality, safety, and delivery at the Forks facility is consistent across all of the 14 manufacturing facilities around the world. This award continues the spirit of innovation and pride at Victaulic. So far in 2015, Victaulic and its employees have been recognized with awards for safety, leadership and product innovation. 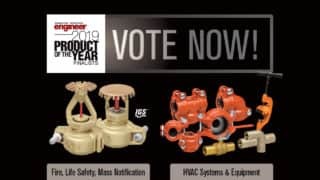 The company was recently ranked first in the Large Employers category of the Lehigh Valley Top Workplaces 2015 awards program, and several new products have been named finalists in the Edison Awards and Consulting-Specifying Engineer magazine’s Product of the Year awards.